Companion Animal Hospital voluntarily sought accreditation by the American Animal Hospital Association. This means that we regularly have our practice evaluated by an expert to ensure that we comply with the highest standards in veterinary medicine. For our clients and their pets, it means that you can be sure your pet is receiving the best possible care using the latest procedures and technology. 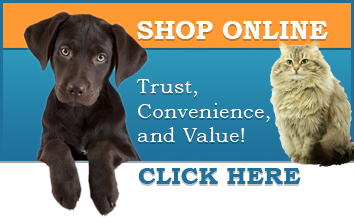 We are the only AAHA accredited veterinary hospital in the Phenix City/Columbus area. This means that our Veterinarians and Care Team hold ourselves to the highest level of care standards. At Companion Animal Hospital, pets are our passion, and keeping them healthy is our #1 priority. We strive to deliver excellent care for pets, because your pets deserve nothing less. We provide the best care of your best friend! Ask us about our AAHA accreditation and how it affects your pet.